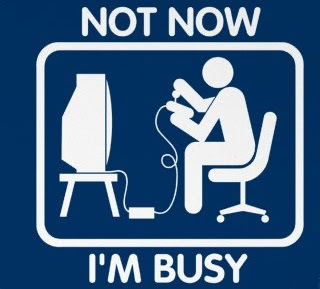 I've had a busy couple of weeks and I haven't been gaming as much as I'd like to. I always prioritize real life responsibilities over gaming, but that hasn't been my problem these last few weeks. My problem has been that I've been reading about games instead of playing them. I'm keeping up with all of the blogs I follow and still manage to read every Joystiq post. I think I need to take some of that time and actually start playing again. Final Fantasy I, Dragon Age: Origins, and StarCraft 2 are all calling my name. I'm not going to take time away from playing with my daughter or spending quality time with my wife, so something else needs to go on the back burner. I'm pretty sure that needs to be keeping up with google reader. I don't have a lot of free time right now, so I need to spend it wisely. Anyone else ever run into this problem? that as people, we're meant Cla Safflower Oil to eat a nicely balanced eating regimen with a various type of meals objects that come from herbal and healthful resources of fat, carbs and proteins. that is what offers the body. That there are particular Biogenic Xr activities that will extend a and also expanding its distance across Another point you won't not know about is that "size" isn't.